1. 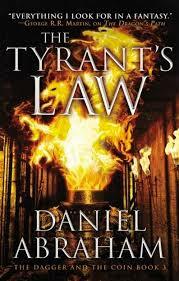 The Tyrant's Law, by Daniel Abraham (Book 3, The Dagger and the Coin). I am super excited about reading this book, and continuing with the series. The G and I have thus far had inverse opinions of Books 1 and 2. He loves Book 1, while I am more partial to Book 2. One of the things Abraham does very well with this series is that he shows the simple, childlike quality of evil and depravity... and that he makes horrible atrocities all the more disturbing by recounting them in an almost lighthearted manner, without celebrating its grit, its blood, or its gore. I am really looking forward to this installment of the series! 2-4. 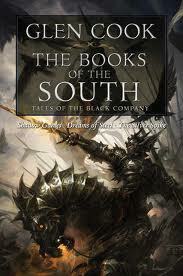 The Books of the South: Tales of the Black Company, by Glen Cook (Shadow Games, Dreams of Steel, The Silver Spike). I have to admit, I am in love with Glen Cook's Black Company. I was introduced to the Black Company relatively recently, and have only worked my way through the Books of the North, the first three novels. Despite the fact that they were written almost 30 years ago, they still feel fresh as a baby's unsoiled bottom. I found it strange, yet heart-warming(?) to find myself knowingly rooting for Evil, and not caring about it... and it feels equally fresh that Cook writes of Good as just as morally complicit and depraved as their arch-enemy... I can't wait to work my way through this as well. And if you are thinking about picking up Glen Cook, it can't hurt that Steven Erikson has described the Black Company as akin to "reading Vietnam War fiction on Peyote." 5-12. 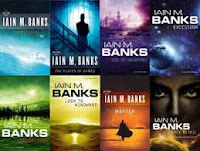 The Culture, Ian M. Banks. 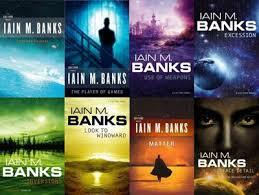 I must have been living under a rock, because I completely missed the fact that Ian M. Banks was terminally ill. So it came as a shock when I learned that he passed away. I think as a proper science fiction fan, the only way I can really celebrate his life is by working my way back through all of his Culture novels. I have already read Consider Phlebas, The Player of Games, The Use of Weapons, and Excession, so I am looking forward to getting through all the rest. 13. 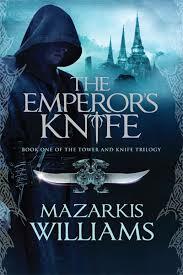 The Emperor's Knife (Tower and Knife Trilogy, Book 1), by Mazarkis Williams. 14-23. 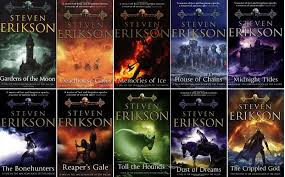 Re-read Malazan Book of the Fallen, by Steven Erikson. I literally blasted through this series a few years ago, reading every book in the span of a few months. Now, with a baby on the way and a lot of sleepless nights ahead of me, I think I'm ready to work my way back through them. I remember thinking that the Malazan Book of the Fallen was equal to, or perhaps even better than, GRRM's A Song of Ice and Fire. I plan on blogging my way through my reread of the Malazan Book of the Fallen, so I look forward to the chance to rekindle my love for the Malaz world, its powerful ideas, and its truly black yet unforgettable humor.